A work glitch occurred and I was told not to work today. Aww shoot! What am I gonna do? It was a twenty eight plus kilometre ride through the Holiest land in the city of champions today. Thats the river valley to all the chumps that didn't know. 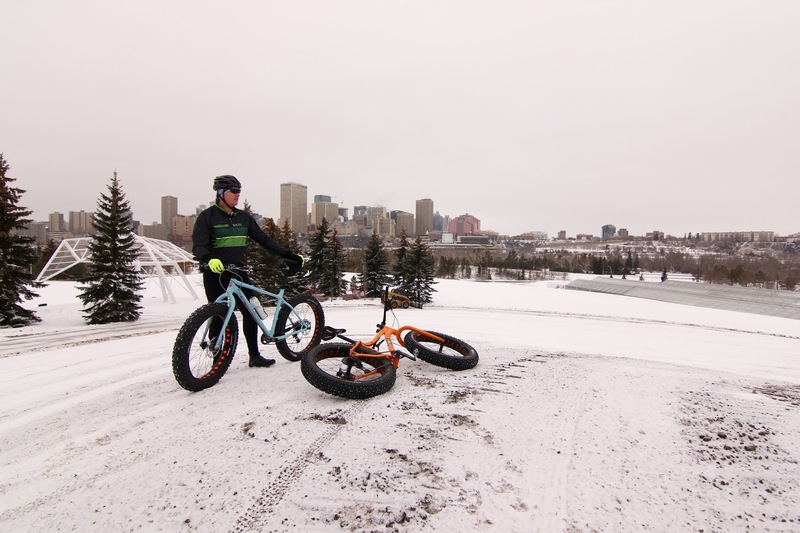 A meet up with Jason late in the morning knowing full well I would be limping back to the Jeep on a wing and a prayer by the time this one was over and my pre ride forethought came to fruition. 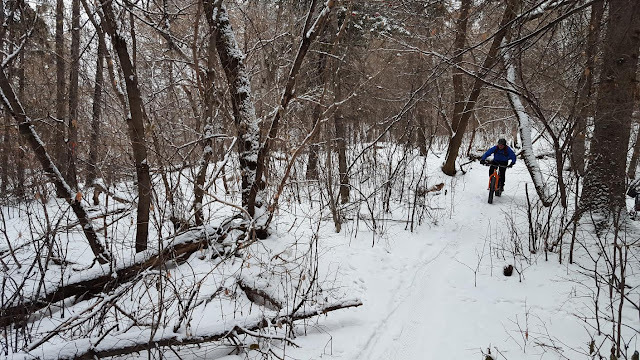 The ride started mid Mill Creek where I tried to tuck away from the upper hills but was persuaded to head up and ride them. It was definitely a superb way to start the ride as the uninterrupted awesome singletrack welcomed us with open arms, and snowy feet. 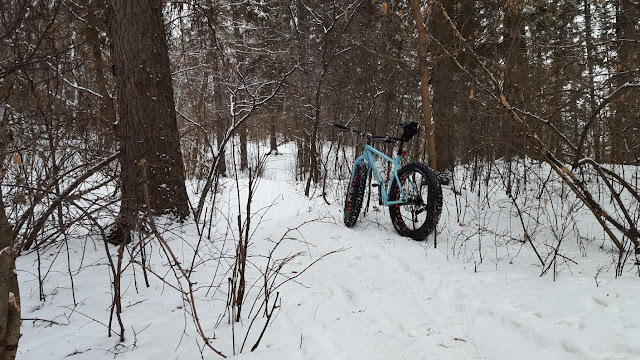 The snow was in better condition today as opposed to last weeks granular adventure but tire wash outs and rear wheel spin outs occurred quite a bit more than average. My studded Dillingers were no match to Jason's rear wheeled Vanhelga and front Flowbeist tires. Which made me contemplate a change after Christmas. Yet, two rides so far this Winter season? Hmmm. The valley was quiet, just the way it should be. Could only imagine everyone was in the malls. Once out of Mill Creek we headed West. The intent was to ride Six Shooter and possibly head to the Talus Dome (although I didn't tell Jason my thoughts as surely, we would have ridden there.) 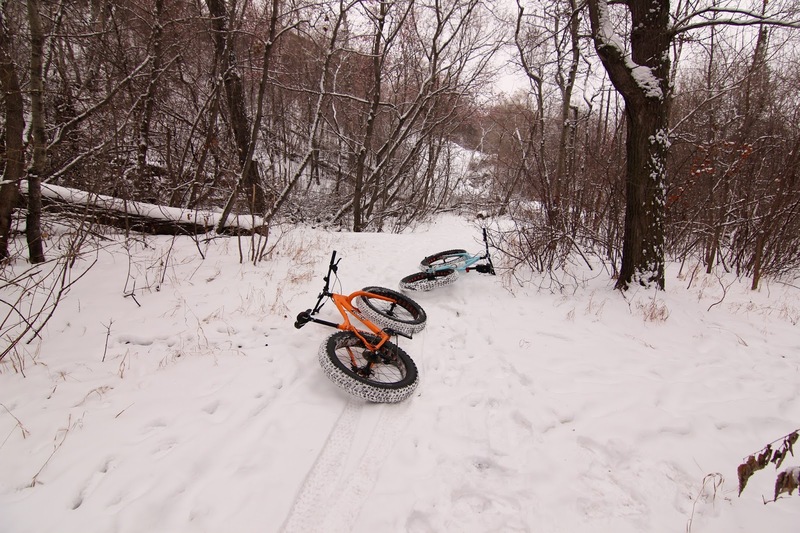 After Six Shooter and the sketchy off camber sections we descended the easy multi use and rode the lower Belgravia river trail back to Hawerlak and crossed the bridge and climbed out on the easy side where we ran into a kid with a fat bike who was more than excited to show us. It was pretty great. Mackinnon started out rough with a crash entering the trail head by yours truly. Shortly after the crash, a nasty bonk started to kick in. I made it through Mackinnon unscathed and limped back home. Short of starting to hallucinate I made it back as Jason looked as he could ride literal circles around me. In the end this ended up being one of the best rides of the year. This one was much needed. making fresh tracks in fresh snow, yippee! Jason Kirkpatrick. Photo credit number 3 & 4 from the top.